The mass shooting at Marjory Stoneman Douglas High School in Parkland, Florida, last week has caused shock and grief to the entire nation. The left is, as usual, demanding gun control — and it has enlisted several students from the school in its cause. One can understand the desire to do something — anything — to prevent another terrible event, but once again it is unclear what law or regulation would stop mass shootings. Outlawing “assault weapons”? Automatic weapons are already largely illegal, and are not involved in most mass shooting events. The last “assault weapons” ban did nothing to stop mass shooting events — including Columbine. Banning the AR-15 — a single-pull, single-shot weapon falsely described as an “assault weapon”? The Charleston shooter murdered his victims at the church with a handgun. Stephen Willeford, the hero who stopped the Texas church shooter last year, did so with an AR-15 rifle. Gun violence restraining orders (GVROs)? These arose in California after the Isla Vista shooting in 2015, to allow relatives of a troubled person to have police take their guns away. But these orders are only temporary. The Sandy Hook shooter’s mother gave him his guns. And in Parkland, the parents who took the killer in had no idea he was so troubled. They told reporters that he had been showing improvement, and thought they had locked his guns away. Improved background checks? That might help, although that solution depends on the ability of the bureaucracy to manage databases properly, which it failed to do in the case of the Texas shooter, who never should have been able to buy a gun. And just as in Parkland, many other mass shooters, including Islamic terrorists, have previously been reported to law enforcement or the FBI, but have either been ignored, or have been left alone after a brief inquiry. As Attorney General Jeff Sessions told Breitbart News last week, “there are signals and signs before these shootings that, if recognized, could lead to intervention, and could stop these events from occurring.” They are being missed. So — what new gun laws or regulations would actually prevent mass shootings? 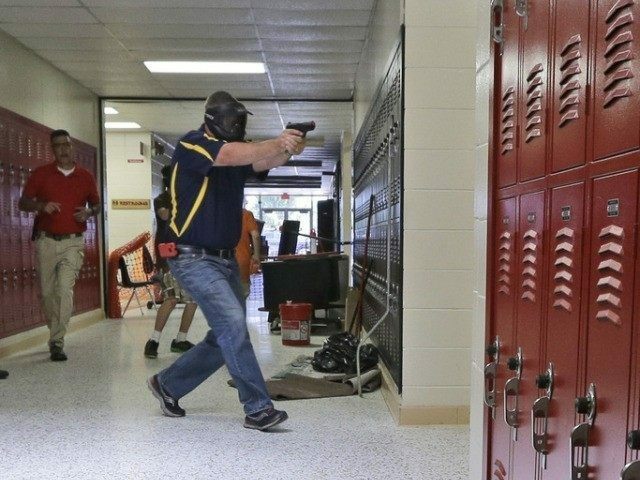 There is one possibility, but the left will not allow us to try it: namely, allowing teachers to carry guns. Last year, five largely rural California school districts adopted policies to allow teachers with concealed carry permits to bring their weapons on campus, so that they could respond to any active shooting situation that might arise, and — more likely — deter one from happening. We will never know if the districts’ policy would have helped prevent shoot shootings because California Democrats never gave it a chance. And so, thanks to Democrats and the media, we are reduced to debating gun laws and regulations that we know would not have prevented the shooting in Parkland, or elsewhere. The best that can be said of these ideas is they might prevent future mass shootings. But most new gun controls would also come at the heavy cost of infringing a fundamental constitutional right, and of stripping law-abiding citizens of the ability to defend themselves.